PG / VG - $2.50 : NorthernVapor.com, Canada's choice for vapor & electronic cigarette supplies! Northernvapor.com opened in September, 2009. 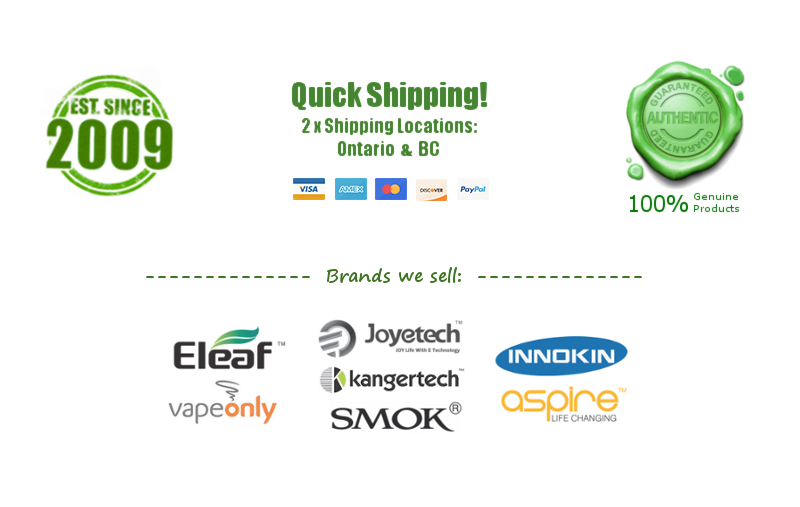 We started Northernvapor.com out of the rise for electronic cigarette suppliers in Canada. We wanted to open an outlet to offer canadian smokers & vapers greater service, better selection & lower prices. This combo will ensure our goal to have an online shop in Canada for electronic vapor. We ship with CanadaPost countrywide usually within 24 hours upon ordering, including Tracking #. We Accept Payment via Credit Card (Offline Method), Interac, Bitcoin. Nice and thick! Excellent clouds! Unflavoured PG & VG for mixing.